Toyota has refreshed its pioneering Prius with a new sense of style and a simplified design language. With cleaner and more engaging lines, the Toyota hybrid features new front and rear treatment, as well as sharper, sleeker headlights and rear combination lights. Inside, the cabin incorporates design tweaks to improve ergonomics, as well as changes to the interior trim whilst retaining the black leather upholstery. 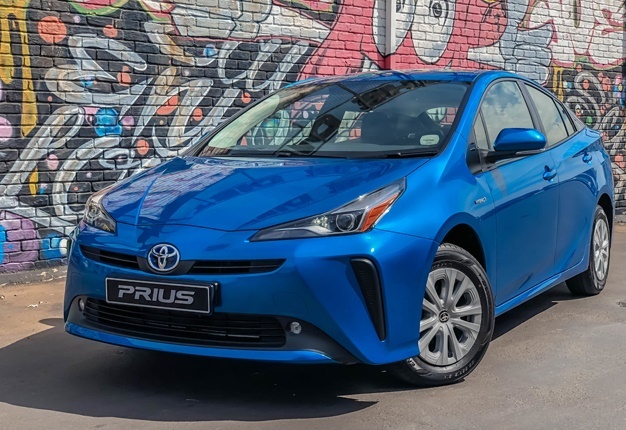 The updated Prius features restyled front and rear bumpers that give it a more flowing appearance that is further enhanced by its slightly longer (+35mm) overall length. Toyota says that the new slim line headlights with bi-beam LEDs and a revised lower intake accentuate the sharper, sleeker aesthetic. A change to LED fog lights unify the front-light signature. At the rear, new combination LED lights mirror the shape of the headlights by introducing a more horizontal look to emphasise the car's width and low centre of gravity. A redesign of the centre console that incorporates two cup holders, seat heating switches and a newly added wireless phone charger, further improves interior style and ergonomics. The previously employed white colour treatment of the console has been replaced by a Piano Black hue. The updated model is available in two exciting new exterior metallic paint finishes: Fierce Red and Sky Blue metallic. An additional six exterior hues are also on offer. The current generation of Prius was launched in early 2016 and was the first model in the Toyota range to feature the Toyota New Generation Architecture (TNGA) platform series. The new platform complemented the latest generation petrol-electric hybrid drivetrain combining a 1.8-litre petrol engine with two motor generators to provide the optimum balance of performance and fuel efficiency depending on driving behaviour and road conditions. The total system output is quoted as 100kW. Fuel consumption for the combined cycle is specified as 3.7-litres/100km, with CO2 emissions listed as 87g/km whilst complying with Euro 6 emissions specification. 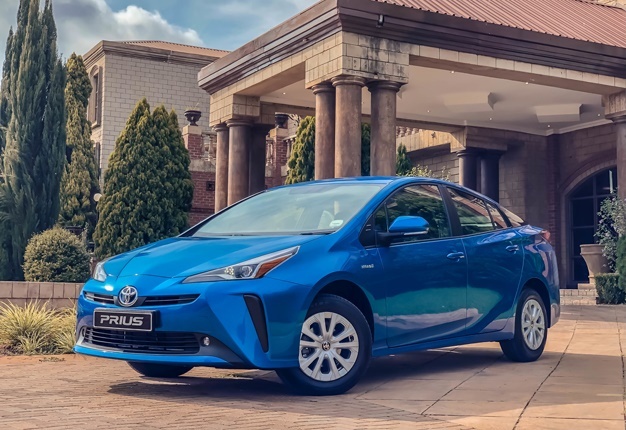 The standard specification level of Prius remains high, with convenience features such as smart entry, climate control, dual-zone cruise control, reverse camera, Heads UP Display (HUD), rain sensing wipers, six-speaker touchscreen audio and auto-dimming interior mirror. The new Toyota Prius 1.8 retails for R490 200 and comes standard with a six services/90 000km service plan. Service intervals are pegged at 15 000km. The warranty period on general items is three-years/100 000km, whilst the hybrid battery warranty is stipulated as eight-years/195 000km. I'm a 48 year old man looking to meet women between the ages of 25 and 45. I'm a 41 year old woman looking to meet men between the ages of 40 and 49.